Let us know how we can help you raise funds in your next campaign. A fundraising representative will gladly get in touch with you in the next few hours to answer all of your inquiries and work hand in hand with your needs. 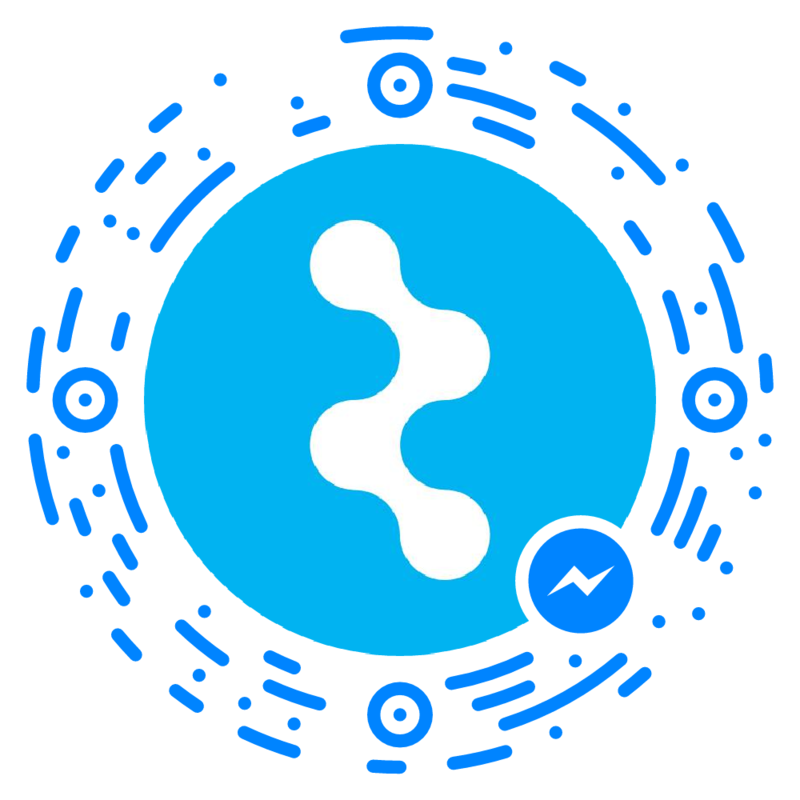 You may contact us directly through Facebook Messenger and receive immediate replies within 5 minutes. We believe in maximizing the technology around us! We believe in treating customers the way we’d like to be treated. WE DO LOVE EASY & FREE RETURNS so that’s what we offer to everyone. If you are not 100% satisfied with your purchase for any reason, just go through our easy online return process to print out a FREE return label and return your original order. You have 30 DAYS TO RETURN your whole order to us in its original condition. Sumbit a return request with the copy of your original receipt by email at: fundraising@steps4ss.com. Within 48 hours you will receive detailed return instructions with your return label via email, ready to print it out. *Please note you can not return part of an order, it must be returned completely (If you made an order of 100 necklaces you can not return less than that). Items must be in the original packaging and condition. Pack all the necklaces inside the original box you received with your order or acquire the same USPS cardboard box absolutely free at any USPS Shipping Center to ship your return. If there are any existing shipping labels, stickers, or other materials on the shipping box from previous shipments, please remove them. Tape your new USPS return label to your box and drop it off at any authorized USPS Shipping Center. Once you drop off your return at your nearest USPS Shipping Center, please allow 4-5 business days for your return to reach our warehouse and we'll take care of the rest for you. Once our Fulfillment Center has received and inspected your return (usually within 48 hours of receipt) your refund will be issued within 7 days and you will receive an email confirmation that your return is completed. *Please note, depending on your financial institution it may take an additional 2-10 business days for the credit to post to your account. Like you we love freedom, the liberty to check out and physically try-on a product before the final sale. If you are not 100% satisfied with your necklace sample for any reason you have 10 days to return it to us in its original condition completely free. Return your sample in its original condition using the prepaid envelope we included in your Sample Order. Remember to return it before the tenth day after your sample arrival to avoid any charge. Drop your envelope at any USPS Shipping Center. Please note that items must be in the original packaging and condition. Once the Storage Center has received and inspected your return sample (usually within 48 hours of receipt) we will send you an email confirmation. If you are not 100% satisfied with your necklace sample for any reason you have 10 days to return it to us in its original condition absolutely free. Return your sample in its original condition using the prepaid envelope we include in your Sample Order. You have up to 10 days after your sample arrival to return it free of charge. Drop your envelope at any USPS Shipping Center. Please note items must be in the original packaging and condition. Once the Storage Center has received and inspected your return (usually within 48 hours of receipt) your refund will be issued within 7 days and you will receive an email confirmation that your return is completed. We believe in having the easiest returning process possible. We do love SIMPLE and informative ways to do things and that’s what we offer you. Many companies like to talk about "guarantees" with long paragraphs full of restrictions created purposely to discourage any claim. We don’t understand the idea of using blurred terms to confuse the people we’re trying to help. Everybody. Literally. Because we design and manufacture all our necklaces, no matter how you acquired them you will be covered (receipt is not necessary, a picture of your pendant is enough for us). For us, nothing is more important than having happy people wearing our creations. If you have any concern, no matter what it is, just contact us and we'll correct whatever you need absolutely free. Exchange the necklaces you need whenever you need to and facilitate your fundraising sales. Shipping is always free. If you make a Fundraising Order (50 necklaces or more) your group will have multiple chances to make exchanges of the necklaces acquired, that’s the main reason we recommend to acquire the necklaces right away for sale instead a pre-sale. We’ll send you all the exchanged necklaces for free and we’ll also pay for your returned necklaces that first exchange. The process is easy and simple. Submit an exchange request with the copy of your original receipt by email at: fundraising@steps4ss.com. If it’s your first exchange* we will send you an USPS return label for free (within 48 hours). *If this is not your first exchange related with this order you may send us the necklaces directly to us at PO Box 366552 San Juan PR 00936, through your nearest USPS Shipping Center. Print the return label and tape it to an USPS shipping box/envelop (you can acquire the box/envelop for free at any USPS Shipping Center) and drop it off at any authorized USPS Shipping Center. Once our Fulfillment Center has received and inspected your returned necklaces for the exchange we will send you the new necklaces you ordered within 1 week. With all these benefits you can start your fundraising campaign with no worries. We understand you. Like you we love freedom, the liberty to check out and physically try on a product before the final sale. 1 necklace, 10 days, 100% free. Check out our pendants collection and select one of your favorite necklaces and we’ll ship a brand new one to you completely free. Try it on and show it to family and friends. You will have up to 10 days to take it for a spin and ask your friends and family if they would buy it for your next fundraising campaign. Start your fundraising campaign requesting free catalogs or buying the necklaces online to start your sales right away. Just ship your sample back to us (return shipping is free) or keep the necklace and get a $7.50 credit on your next fundraising order (based on your order). What is the Try-On Program? Pick your favorite pendant to test out at home with our easy and free Try-On program. You’ve got 10 days to show it to family and friends, then return the necklace or keep it for $15 (and some credits to use in your next fundraising order). Shipping is free both ways. If the Try-On program is free why do we need your credit card? Our Try-On program is absolutely free. During the checkout process, you will be asked to provide a valid credit or debit card before completing your order. We require your credit or debit card information for security purposes, but rest assured that the Try-On program is a totally free ten-day trial. What happen if people don't return the Try-on necklace? If you do not return your Try-On, or if returned necklace is damaged, we will need to charge the card on file $15. In order to avoid this charge, your Try-On necklace will need to be returned and postmarked by the tenth full day after delivery. If your Try-On period ends on a weekend or holiday, just drop it in the mail on the next available day.